I have long been convinced I can cross-clamp an aorta under pressure, thanks to the many episodes of ER I binged over the summer. This belief has only been amplified by recent news of an Arizona man who saved a woman’s life earlier this month by performing CPR techniques he picked up from The Office. Television is our only true teaching tool. 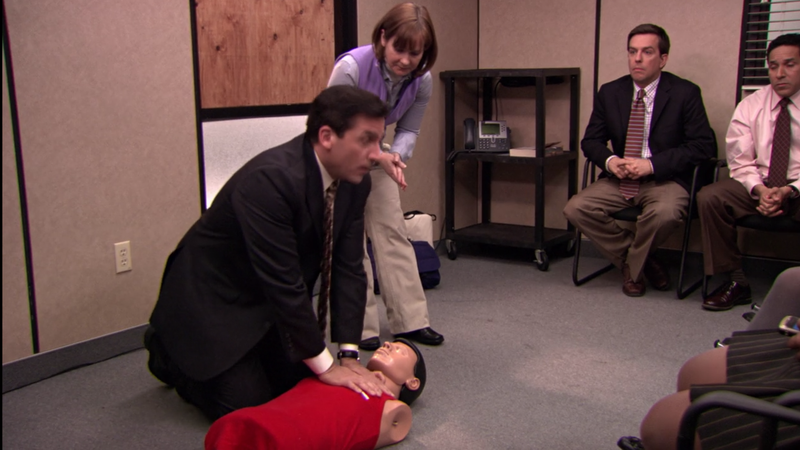 The episode, where the gang takes an in-office CPR course, could actually be a tutorial in what not to do. The one thing it got right was using that song as a meter — the correct tempo for chest compressions. When paramedics arrived to transport the woman to the hospital, they told Scott his CPR compressions likely saved her life. (She checked out of the hospital shortly after she was admitted.) All in a day’s work at Dunder Mifflin!